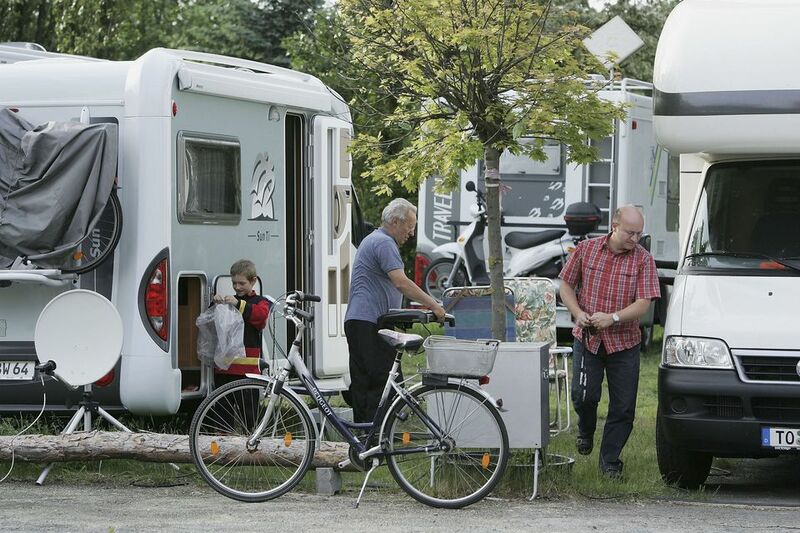 Like other recreational hobbies and activities, there are groups that bring together RVers. RVing has the unique ability to bring people from all walks of life together across the world. Whether you have a teardrop trailer and hit the roads when you can or you’ve retired in your dream motorhome, RV clubs give you discounts, resources, and a sense of belonging no matter where you travel. The Good Sam Club is one of the largest RVing communities in North America. The Good Sam Club was founded in 1966 alongside Camping World, its sister company. It offers gas discounts, RVing events, and other membership benefits to its community. Let’s look at why you should join the Good Sam Club and start saving on your travels today. What Are the Benefits of a Good Sam Membership? This is a taste of what you can get from joining the Good Sam Club. Every year, they add exclusive offers. Good Sam Club members also get a 25 percent discount on LP propane gas on Tuesdays and Wednesdays at Camping World SuperCenters across the nation. RV show, prescription, and other discounts are available to Good Sam Club members throughout the year. Good Sam Club also works on behalf of RVers to offer more sales, specials, and more. The Good Sam Club also helps members by pairing them up with experts to answer your questions about RV travel, buying and selling and anything about the travel lifestyle. You can also use the Good Sam Club trip planner to help you find the best routes to and from your next destination. The club is more than the tools and discounts it offers. The mission of the Good Sam Club is to bring RVers together across the country, whether they’re part of local chapters or go to nationwide events. RVing is about more than travel, it’s about community, and the Good Sam Club wants to keep that tradition alive. A one-year membership with the Good Sam Club only costs $27. If you choose to join for multiple years, you’ll get extra discounts. There are also lifetime memberships, discounts for military and veterans, along with elite levels when you buy an RV or trailer at a Camping World dealership. Like we said above, one gas station visit will more than make up for the annual fee for a year. If you’re looking to become a regular RV and travel the country, joining the Good Sam Club will not only save you money while traveling but also on parts, repair, and accessories for your RV. Is the Good Sam Club Worth Joining? More than 1.5 million RVers in North America have joined the Good Sam Club and the community it’s built since the 1960s. Whether you’re looking for local RVers who share your sense of adventure or want to take advantage of the discounts that come with the membership, the Good Sam Club is worth joining as an RVer. With a small membership cost each year, even if you only ever use it for gas purchases, you can make up the membership cost in one RV trip. Joining RV organizations and communities is a fantastic way to meet new friends, learn more about RVing and discover unfamiliar places to travel. Whether it’s the Good Sam Club or some other organization, you never know what you’ll find when joining an RVing community. Check out other RV clubs out there and see which ones save you the most money based on your destinations and how often you travel. Want to join the Good Sam Club today? Visit the Good Sam Club website now!